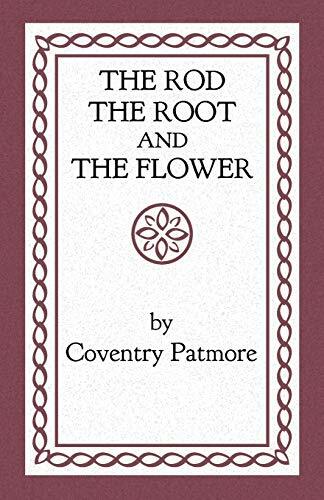 "There has never been a newer, bolder thinker than Coventry Patmore (or one who was a greater artist at the same time), and he has done more than anyone else to open, finally, the immense domains of Religion to Art." --Paul Claudel Published just a year before his death, these essays and aphorisms were the final flowering of Coventry Patmore's extraordinary vision. The writers of the 19th-century Catholic Literary Revival, of whom Patmore was an outstanding representative, were in search of the whole of reality, and awoke a renewed appreciation of the importance of symbols as a vehicle of metaphysical and doctrinal truth. As Stratford Caldecott indicates in his Foreword to this volume, "many of these truths concern the relation between man and woman, and here [Patmore] anticipates in many respects the Theology of the Body of Pope John Paul II--a theology grounded in the Trinity, and based on the analogies between the love of the soul for God, the love of God for mankind, and the love between man and woman." The transfiguring power of love, both human and divine, is the theme that runs right through The Rod, the Root, and the Flower. Herbert Read compared it to Pascal's Pensées, and Caldecott adds that "here we see a fullness of Catholic wisdom that is not exceeded by any other representative of the Revival, and one that speaks to our age as much as it did to his own, opening vistas within the Word of God that remain incompletely explored even today."